The Merits of Doing Things the ‘Indian Way’. Indians do not believe in the power of planning ahead. Why do today what can be postponed until tomorrow? And queries about progress of impending or ongoing ventures are invariably greeted by beaming smiles and a ‘Don’t worry. We’ll take care of it’. It will be done, eventually, when everyone else has given up on them and sorted it out for them… But by heck, they are a lot less stressed than I am! And let’s face it, the future has a tendency not to turn out as foreseen, so is there really any point in planning ahead?? There is certainly something to be said for doing things the Indian way! The main purpose of my extended ‘holiday’ was to come and deal with the remnants of my life in England. And so I dealt: I sorted clothes, disposed of furniture and went down memory lane each time old photos were unearthed. 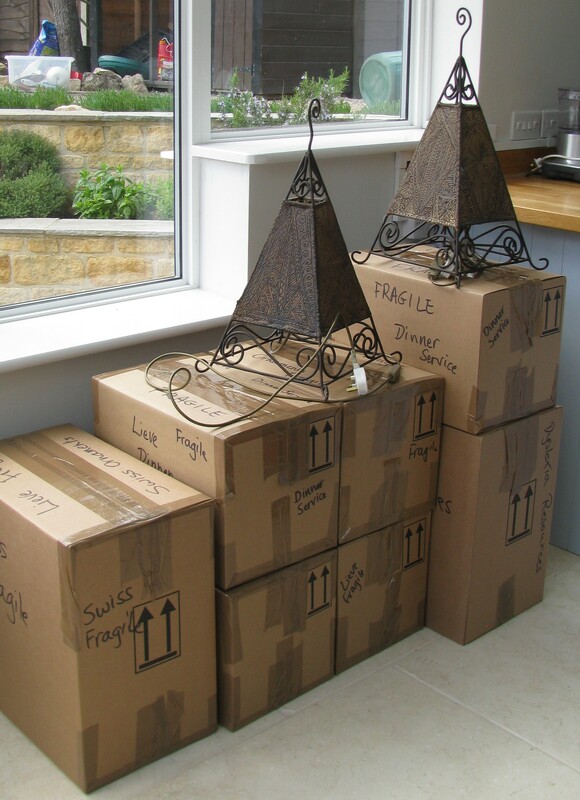 I pared down my life to a few boxes of precious belongings, my two Moroccan lamps and a multitude of pictures collected on travels around the world. And in the evenings we tended to the piles of paperwork hoarded over a lifetime. And so we stood, my son and I, patiently feeding the funeral pyre of my marriage and divorce. 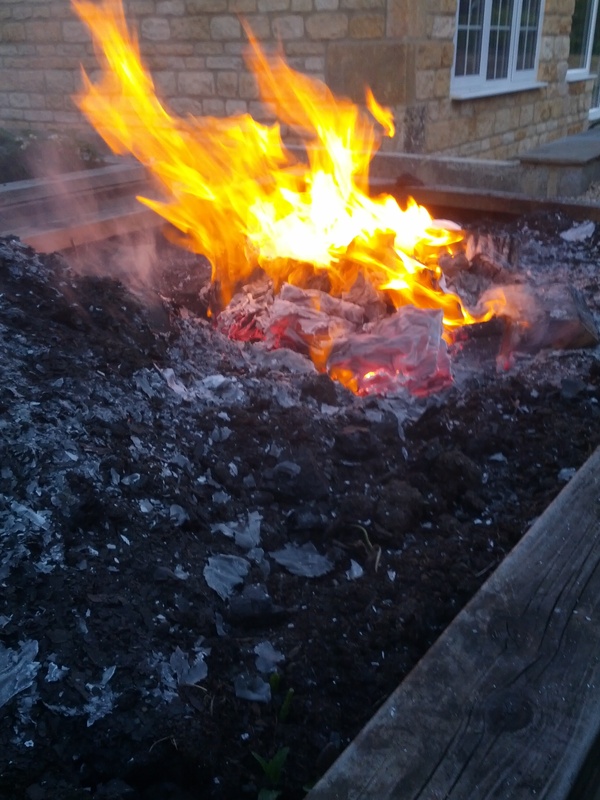 We refrained from toasting marshmallows in the heat of the fire lest the acrid smoke might make them taste unpalatable, and later I scattered the toxic ashes amongst the greedy shrubs and flowers in the garden. Friends who stayed overnight with me on the last Saturday had been warned that I could offer plenty of floor space in the house, but very little else… We camped on air beds and lay admiring the star studded Cotswold night sky through the glass kitchen roof. The sum of my life!!! But as this last week approached, the plan started to unravel. An unexpected but essential visit to Belgium played havoc with my Saturday. Instead of offering backup support for my son’s move, I surfed the net in search of cheap flights at short notice. Mid-week quality time in Belgium had to take priority over spending time with my son in his new house. And I can only extend my gratitude to my friends and ex-neighbours in the Heathrow airport vicinity for offering beds, airport drop-offs and pick-ups to make the seemingly impossible just a tad challenging. 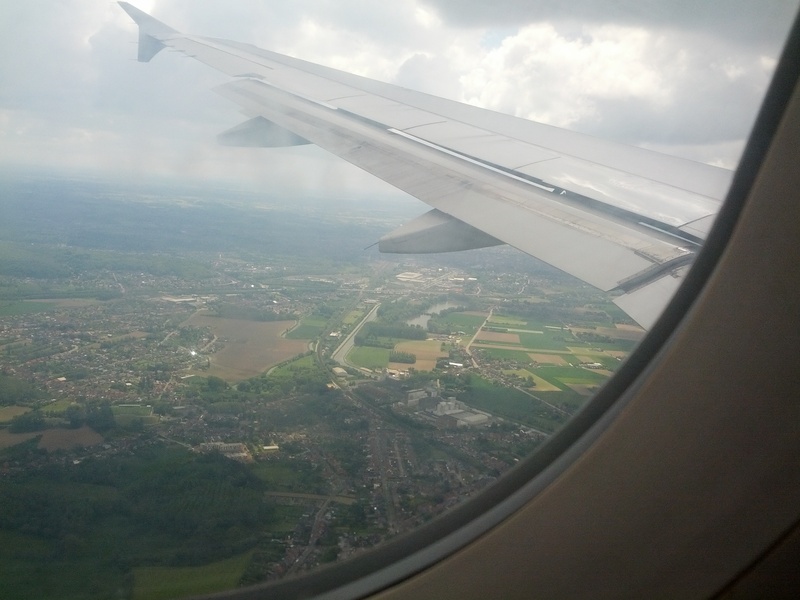 Over Brussels. Coming into land. So Monday came, my last day at ‘home’. At 8:00 am the man from the oven cleaning company sent a polite request to reschedule the cleaning of the oven due to car troubles. NOOOOO!!!! Of all the jobs I did not want to face, this one was top of the list. Maybe if I had had the foresight of scouring the inside of the oven properly once in a while in the preceding two years, I may have stood a chance, but this brought on panic time… Several frantic phone calls later, I found South African Dave, who sensed my desperation and came to the rescue in the afternoon! In the meantime, I missed an urgent phone call from the builder, who once again was unable to send someone to deal with the gutter… but he left me with the solemn promise that on the next sunny day, that gutter would be his number one priority. I am still awaiting pictures of the finished result, one week on. And to add to it all, I had to pack my hand luggage to accommodate the unscheduled mid-week visit to Belgium when most of my unsold clothes were in suitcases destined for India or in a sealed box bound for storage in my daughter’s house. 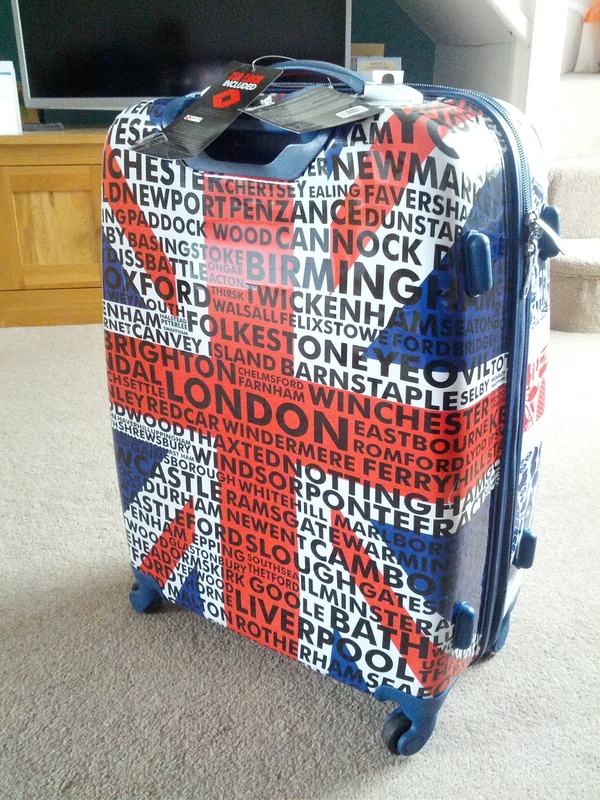 I am British and I am proud of it… A suitcase I can spot from a mile. So I could have saved myself a lot of unnecessary bother by not trying to prevent last minute chaos through forward planning as no matter how hard I tried, chaos pursued me for the whole week and beyond. If I had bought into the Indian way of thinking, I would only have had one frantic period of organising my last week in the UK, instead of two or more. Expecting the unexpected and creating a semblance of order in the muddle of the imminent is probably a more realistic way of approaching life in general, and India in particular… but more on that later…. But as with everything, there is always a silver lining: in this last week I met up unexpectedly with some of my dear friends and family; I now own a suitcase that will be hard to miss on the conveyor belt; I fitted in a shopping spree in New Bond Street in London (swimwear…) and I might just begin to appreciate some aspects of Indian attitude to life… although I do not see myself taking to it like a fish to water. This entry was posted in adult gap year, India on May 27, 2015 by lievelee.